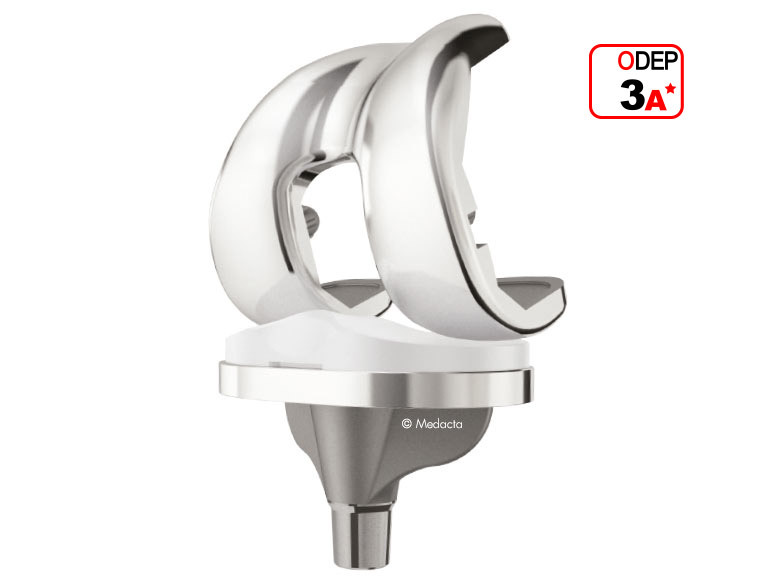 The entire GMK Total Knee Replacement System has been designed to preserve the joint functionality without dramatically altering its anatomy and kinematics, even in cases of severe ligament instability or massive bone defects. 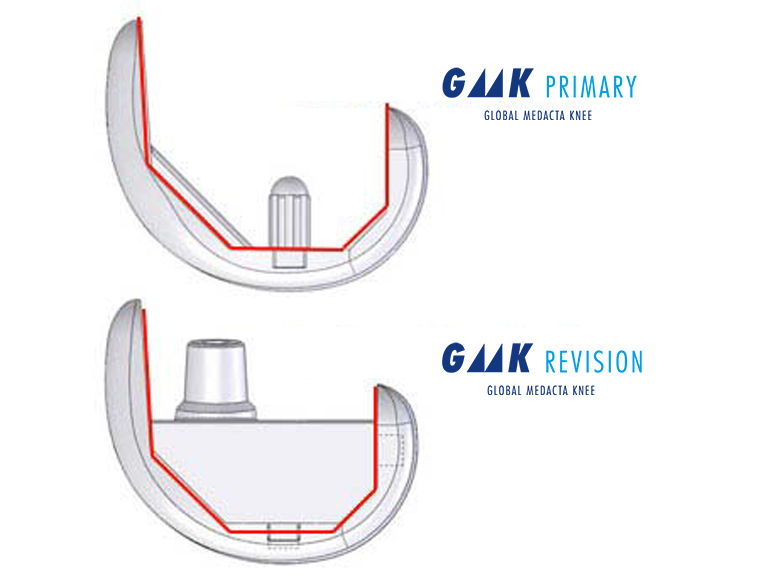 Thanks to the GMK Revision comprehensive range of options the surgeon can choose the most suitable solution for every patient within his care without any compromise. 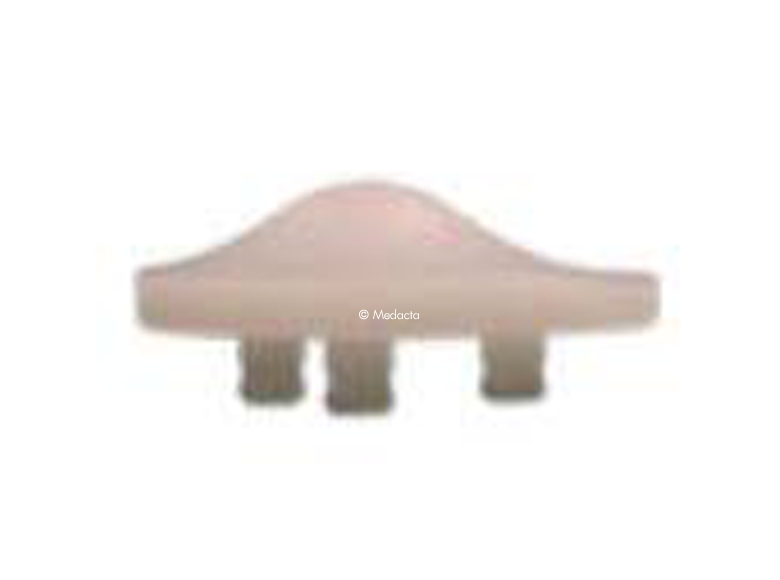 The established GMK REVISION implant, along with the easy to use instrumentation, help the surgeon to operate every day in total confidence, flawlessly addressing each surgical scenario, from primary augmentable cases to the most challenging knee revisions: with GMK REVISION any challenge is possible! Cemented and mechanically attached tibial augmentation can selectively address asymmetric bone defects. 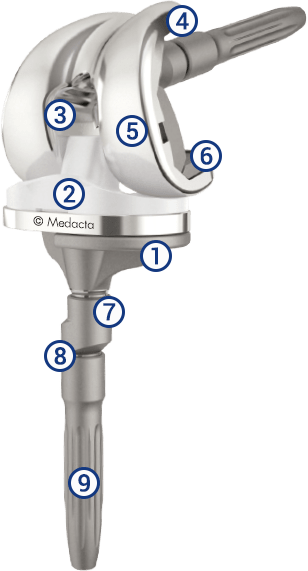 Tibial inlays are available both on fixed and mobile versions with different levels of constraint to provide the maximum intra-operative flexibility. Besides the traditional symmetric inset patella, GMK Revision also offers the asymmetric resurfacing patella, increasing the patella-femur contact surface, reducing stress on polyethylene and improving stability. GMK Revision femoral component is bone preserving: the reduced box fits both posterior-stabilised and semi-constrained inlays therefore eliminating large bone loss. 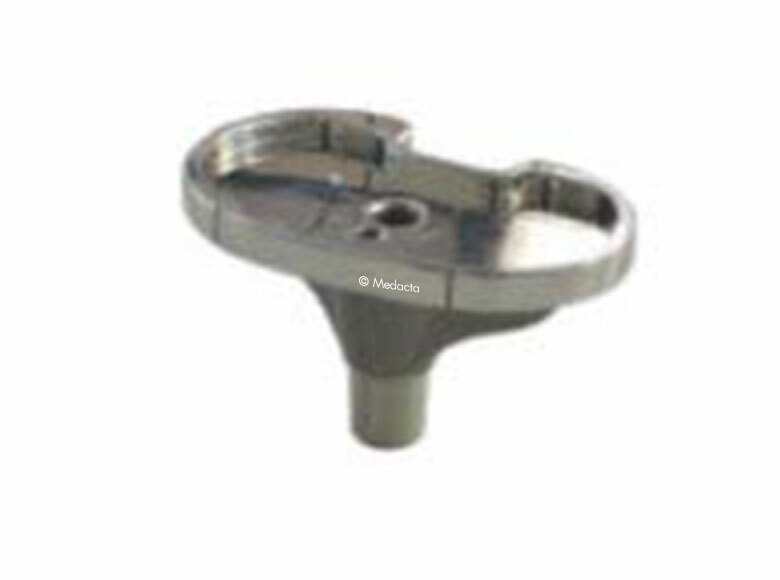 Same internal and articular profiles as GMK Primary femur ensures the freedom to choose intra-operatively the most suitable solution for the patient. 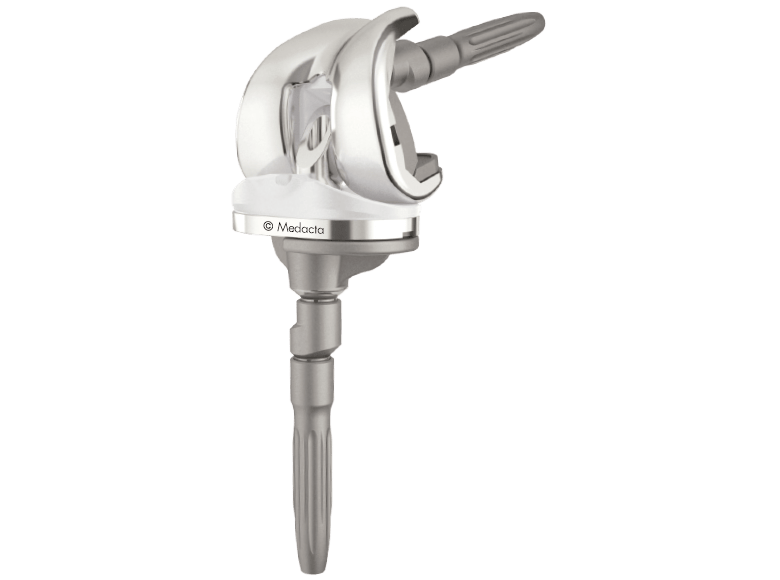 Distal and posterior femoral augmentation mechanically attached to the femoral component help to fill condylar bone defects, accurately managing the joint line position and the flexion/extension gaps. 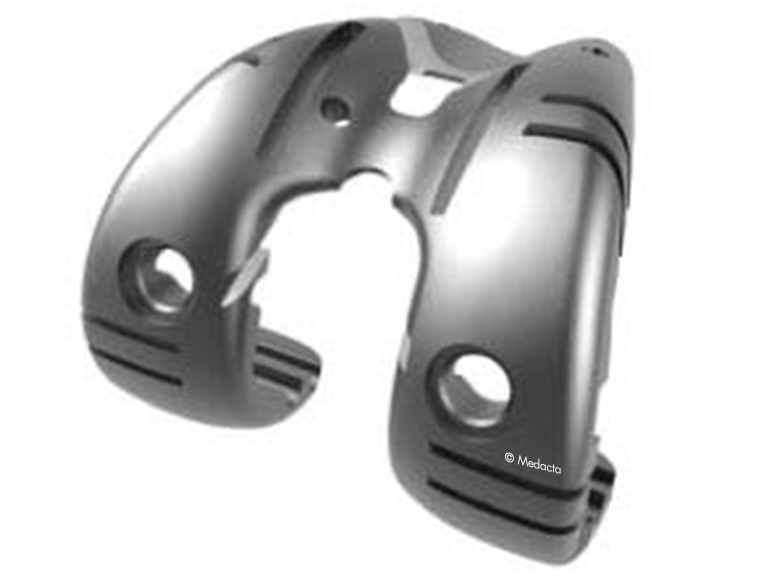 360° adjustable tibial and femoral offsets maximise bone coverage without compromise, reducing the risk of overhang. All the modular connections are tested and dedicated instruments are available in the operating room to standardise the procedure, providing every patient with the maximum level of safety. 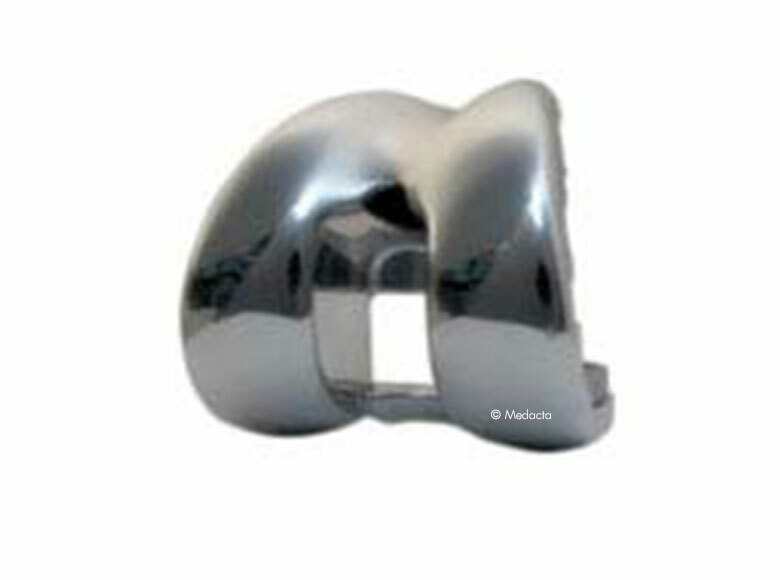 A complete range of extension stems is available when intramedullary fixation is required. 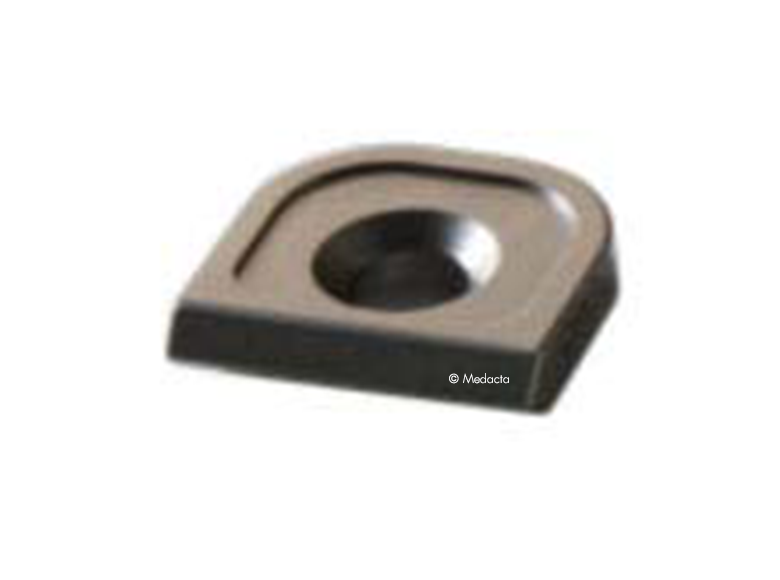 Stems are available in a wide range or sizes and in cementless or cemented and are interchangeable between femur and tibia to minimise the OR inventory. The femoral box is reduced to a minimum, saving precious bone stock. 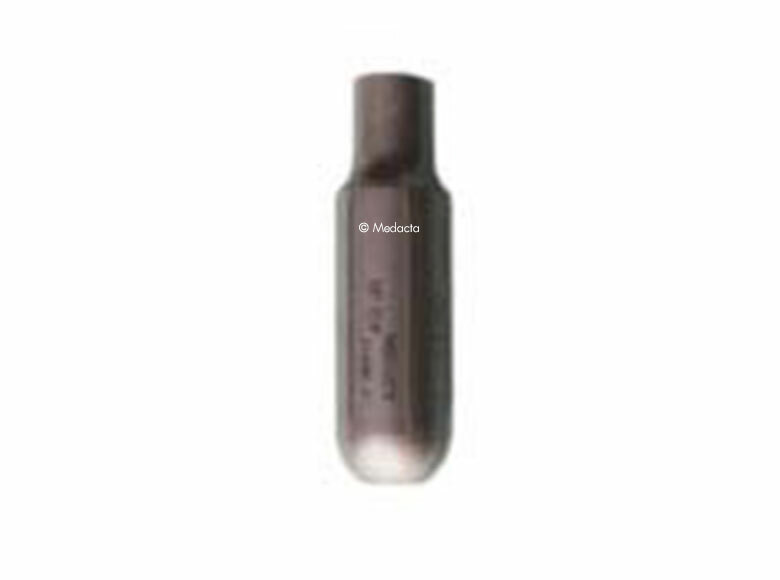 The internal reinforcement metal peg provides further resistance. Mechanical tests show proven stability and mechanical resistance of GMK REVISION semi-constrained inlay*. 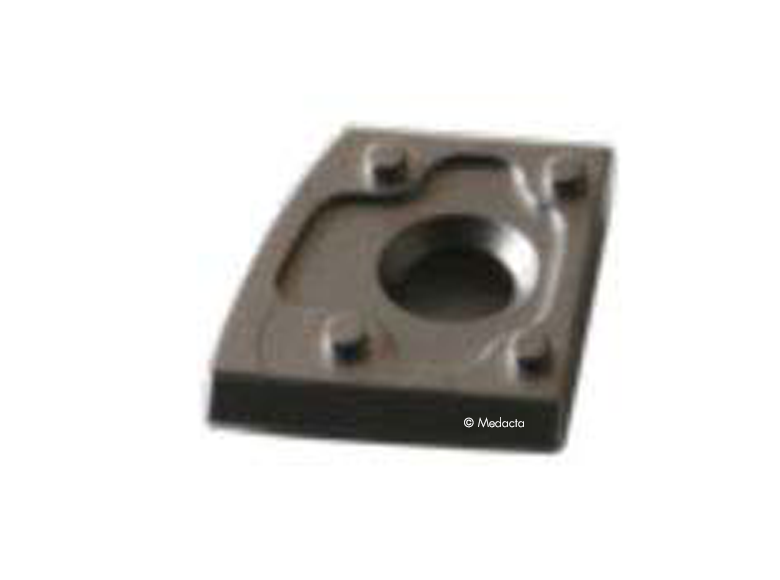 Residual freedom ensures varus/valgus and torsional accommodation. 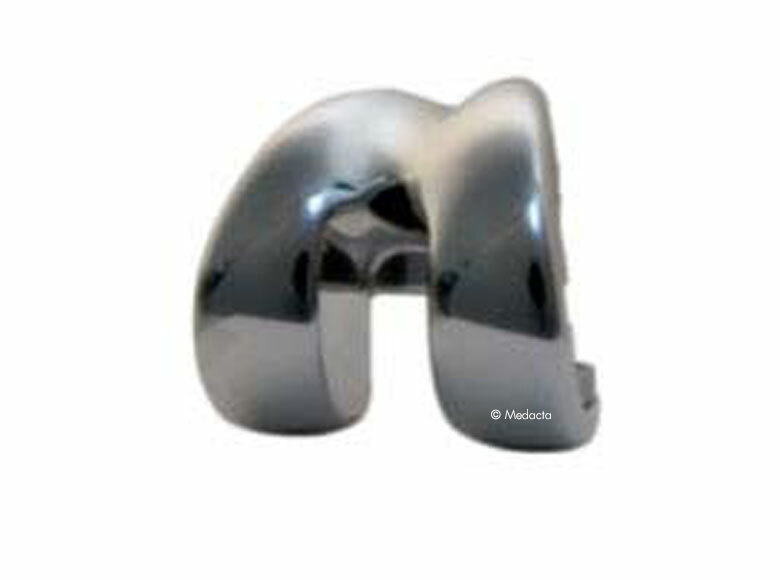 The internal surface of the tibial baseplate is mirror polished, minimizing the risk of backside wear. The keel dimensions are the same as for GMK PRIMARY, allowing for the use of a modular offset. 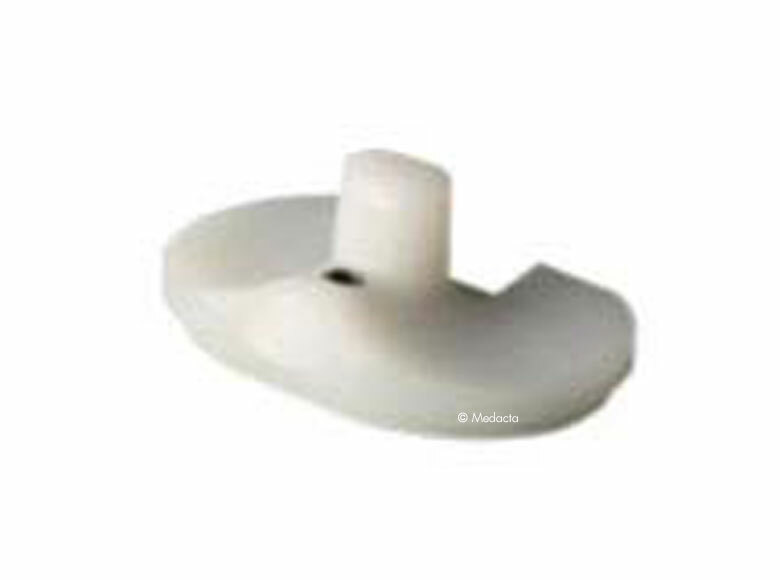 Cemented augments are available to fill bone defects and manage the joint line position. 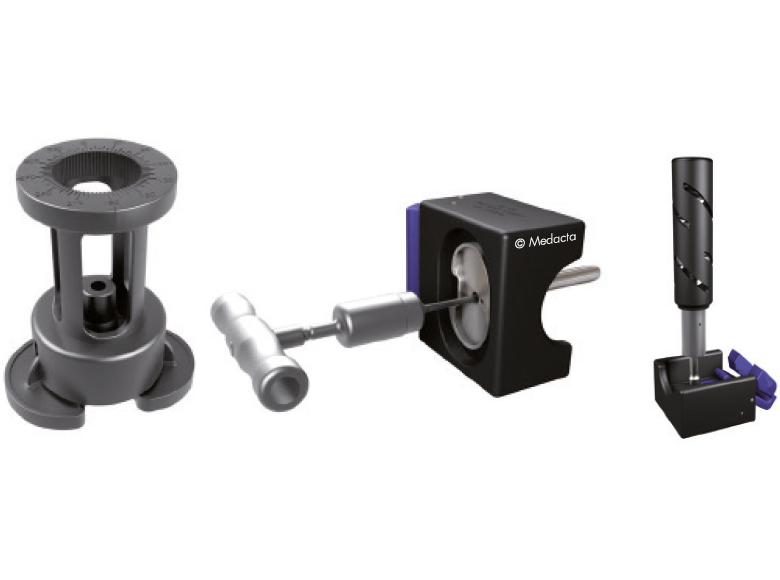 Interchangeable modular offset adapters are available for femur and tibia in order to provide the maximum flexibility with the minimum inventory, avoiding the need for additional offseted stems. 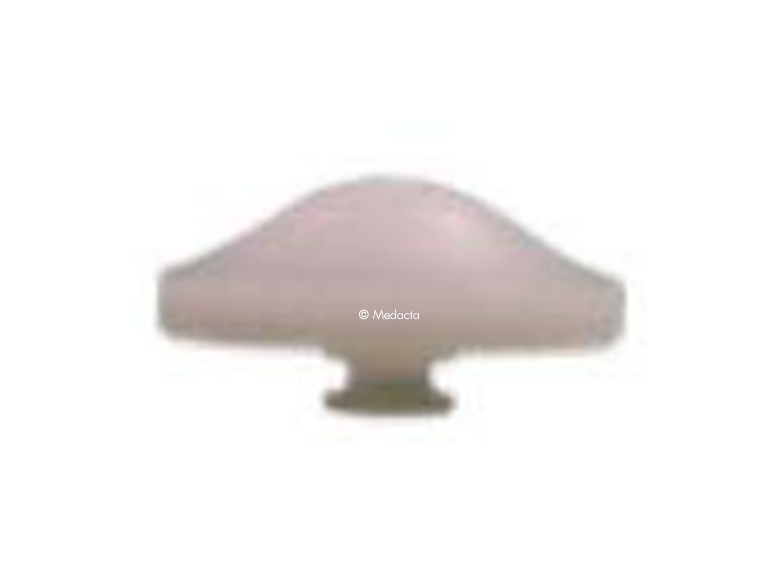 All the modular connections are accurately tested* and dedicated instruments are available in the operative room to ensure a reproducbile fixation. 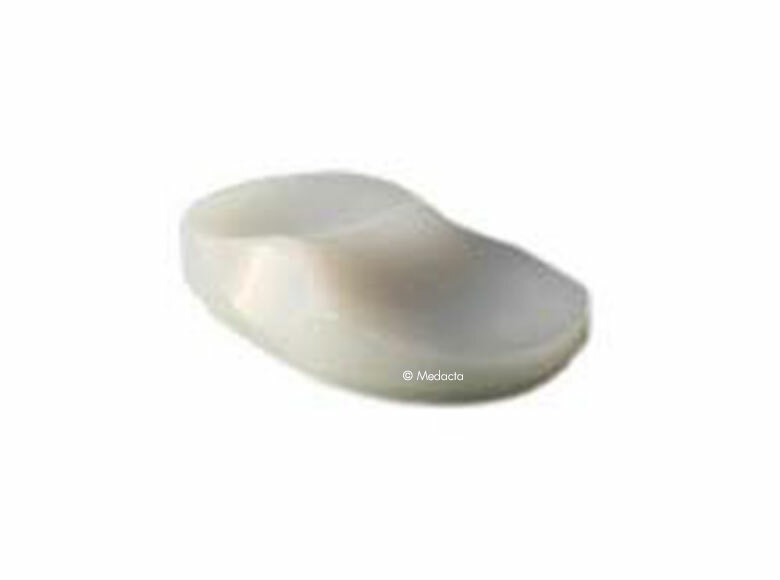 To face different clinical indications, both cementless and cemented options are available. 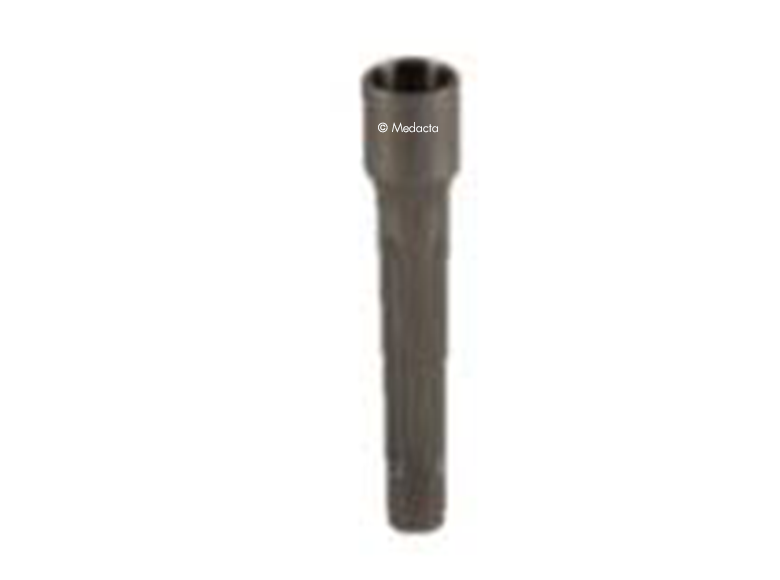 Cementless stems have longitudinal splines to provide rotational stability, whereas cemented stems have longitudinal pockets for cement and fluted shape to facilitate insertion. 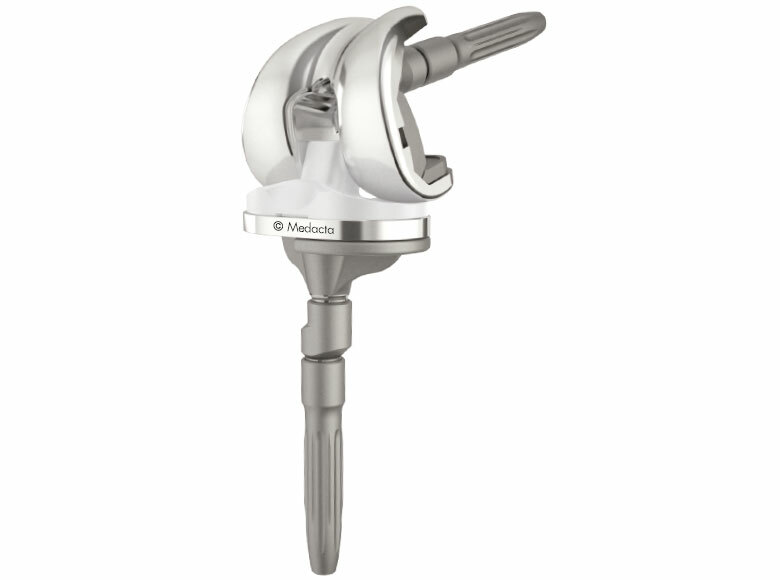 The primary goal of a GMK Revision knee replacement includes the restoration of anatomical alignment and functional stability, the accurate reestablishment of the joint line and the fixation and stabilization of the revision prosthetic implant components. 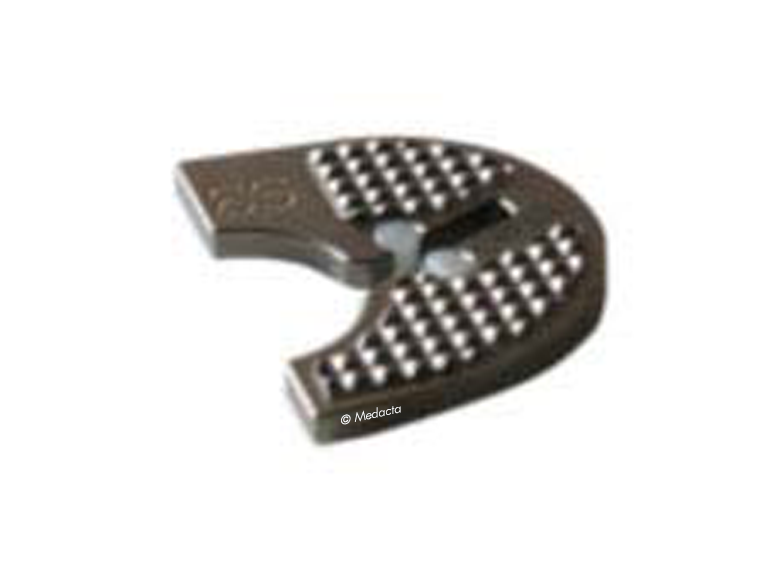 The GMK Revision has a flexible instrumentation allowing to follow different surgical techniques, depending on the surgeon's preferences and the clinical circumstances. The surgeon can therefore benefit of the maximum confidence even in the most challenging situation. 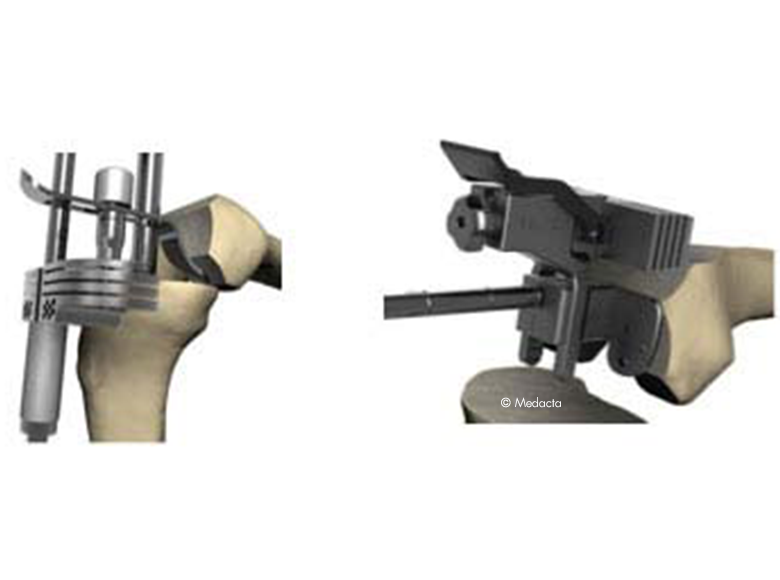 Dedicated instruments are provided to precisely reproduce the validated offset on femur and tibia, all the modular connections are then secured by Morse taper and additional screw and provided dynamometric wrenches and special impactors always ensure a standardized and reproducible procedure. Tibial and femoral resections can be accurately fine-tuned thanks to micrometric systems, in order to preserve as much bone as possible and facilitate the joint line management. Multiple checks at different operative stages allow to manage the joint line position in order to restore the functionality of the extensor mechanism. Patellar tracking can be adjusted up to the femoral trialing step as femoral augment resections can be performed directly through the trial femur. 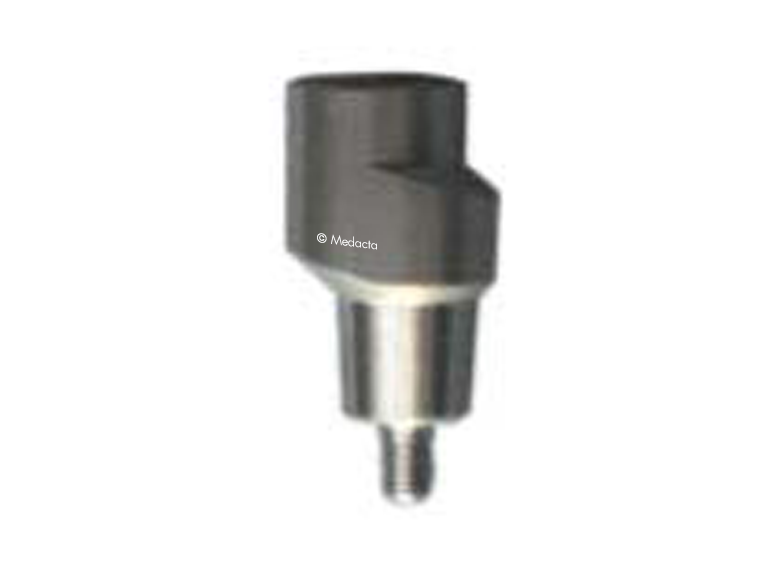 Provided instruments allow to easily switch intra-operatively from a less constrained to a more constrained inlay when more stability is required, without the need for huge additional instrumentation. Same internal and articular femoral profiles between GMK REVISION and GMK PRIMARY ensure the freedom to choose intra-operatively the most suitable constraint for the patient, even after the bone cuts being performed. 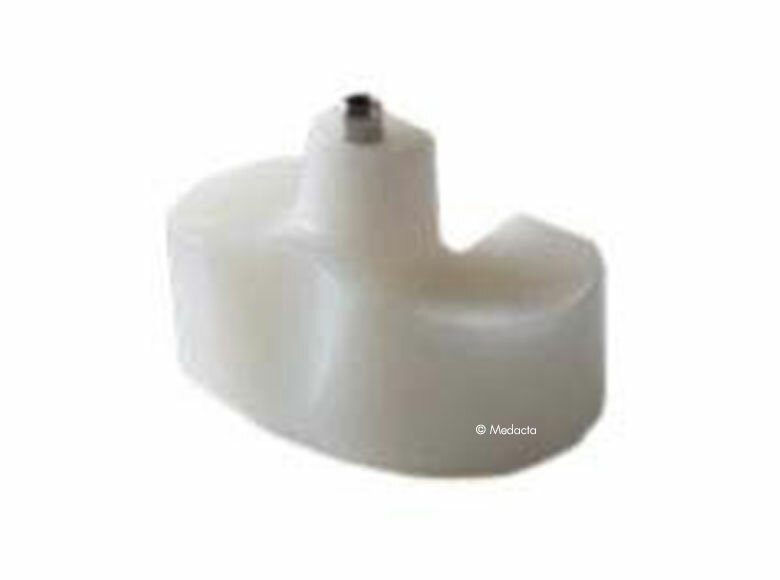 Moreover, the wide compatibility with the primary polyethylene inlays as well the use of the same primary tibial component allow the hospital to save stock inventory.